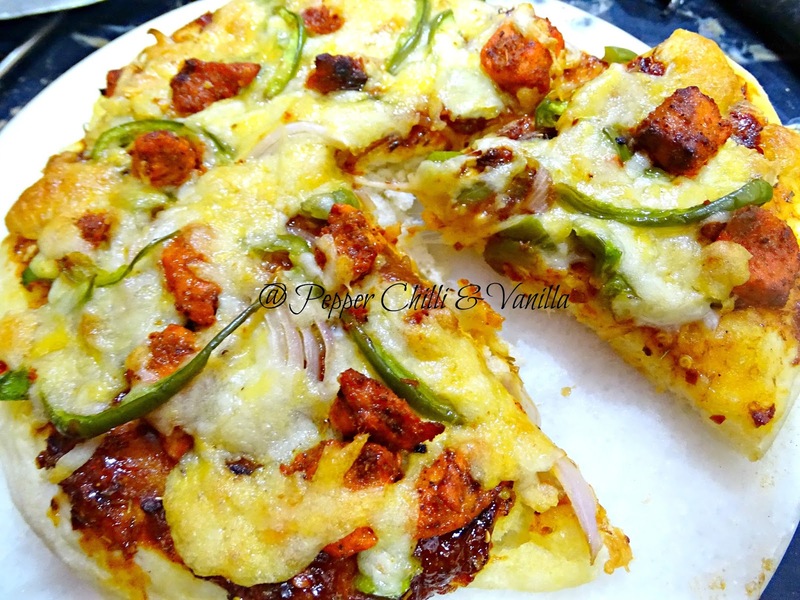 Tandoori Chicken Pizza/Easy Homemade Tandoori Chicken Pizza Recipe. 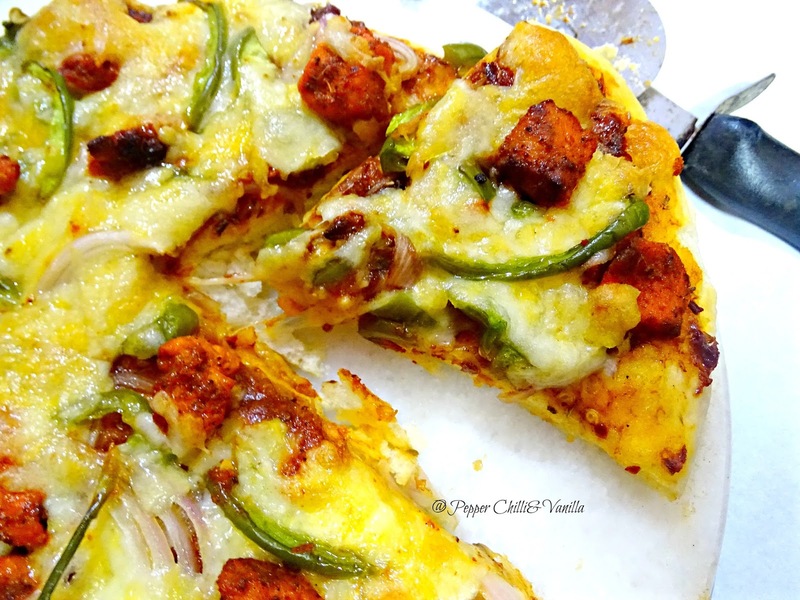 You will love how yummy this pizza taste with my quick no cook pizza sauce ,it taste as good as the pizza sauce I use for all my pizzas ..This time I made it a little spicy by adding more chilli flakes but it was simply delicious .do try it .. 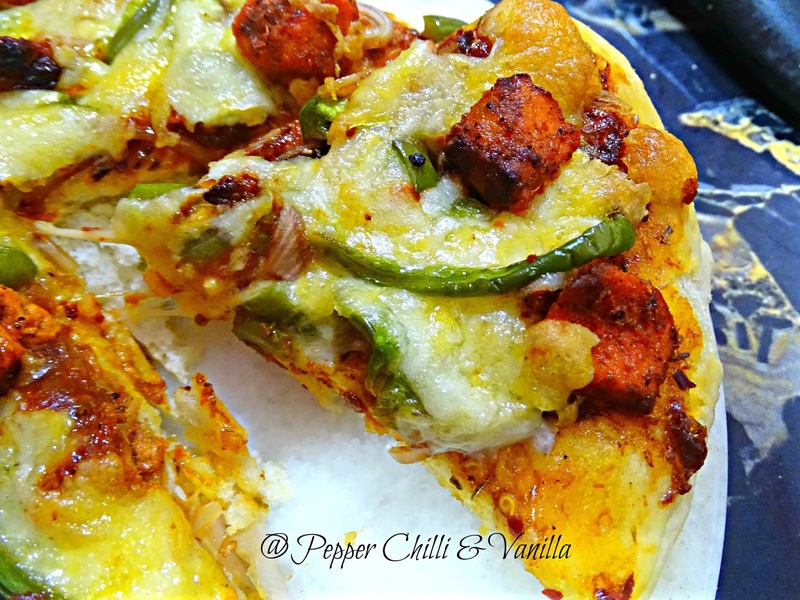 I have only used onion and capsicum for topping since it was tandoori pizza ,you may use olives and mushroom as well . Mix it all together and no cook pizza sauce is ready. 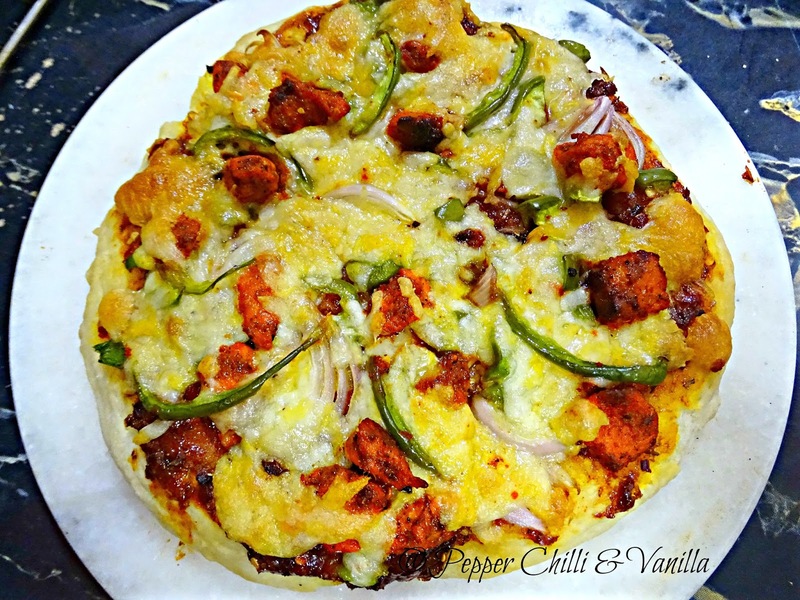 Cook the base as per mentioned in the basic pizza dough find the link below. Apply the no cook pizza sauce on the base . 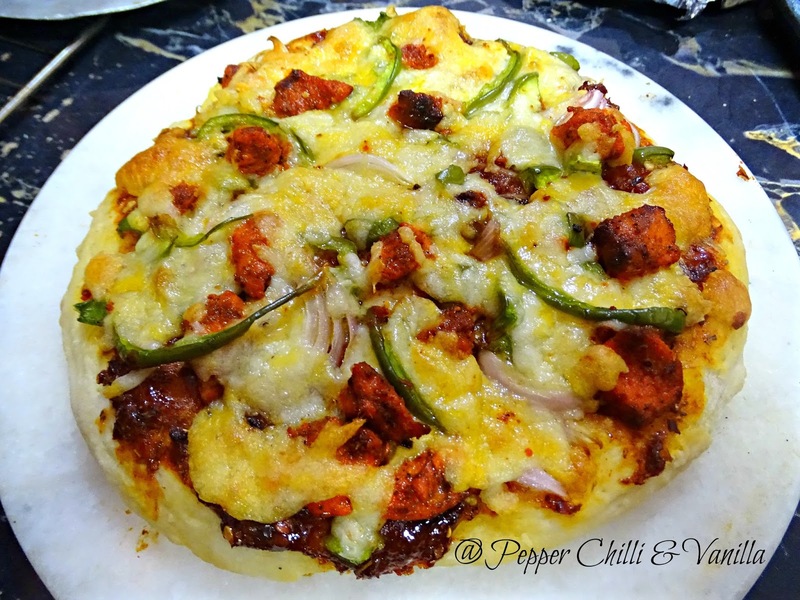 Then place the cheese and arrange the sliced onion and capsicum. Drizzle olive oil and sprinkle chilli flakes and oregano . Bake in a preheated oven for 15 minutes until the cheese melts and turn bubbly . I'm drooling here dear...!!! Super tempting one....!!! Pizza from kitchen as always is a class of its own. I see another version now.